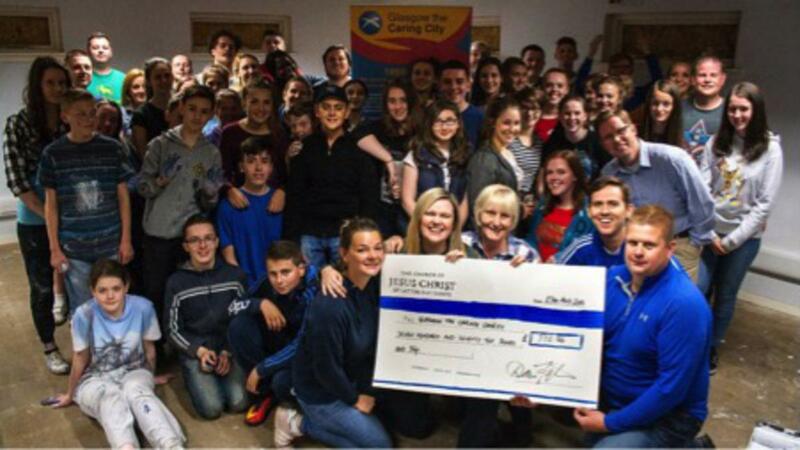 In response to this encouragement to act, members of the Church from eight wards across Glasgow, Scotland, decided to work in conjunction with “Glasgow The Caring City”, a Scottish charity which supports children in crisis at home and overseas. Several events were held over a number of months. A number of clothing drives took place with the collection and sorting being handled by the youth group of the church. A dance concert was held at the Mitchell Library Theatre in Glasgow featuring the internationally acclaimed Brigham Young University Ballroom Dancers – the event raised over £700.